Philip Abadicio has been writing about lifestyle for a long time. He is the man behind the successful campaigns of his clients’ lifestyle products and brands. As a PR man, he established RPA & Communicate where he mastered the ropes of the lifestyle industry. He is the editor-in-chief of the online lifestyle source, StyleRPA.com. RPA is an acronym for real, personal and all-that style. 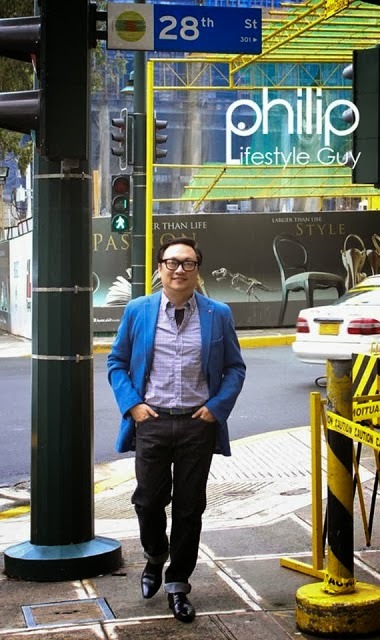 He has hosted a lifestyle news program for the Global News Network, “Style RPA TV,” and a lifestyle magazine talk show called, “It’s More Fun with Philip,” on TV5’s news channel Aksyon TV. And his latest offering is the recently launched lifestyle TV show, “Philip, Lifestyle Guy,” airing on TV5 every Sunday 11 a.m. to 12 noon. For years, Philip maintained his stance in Manila’s social scene. He organized creative events and parties for Moet et Chandon, Standard Chartered and Dom Perignon, and many other prestigious brands. His campaigns were also a platform for famous celebrities today, such as Pia Guanio’s stint with Caltex as a weather girl, and her team-up with Paolo Abrera to participate at an AXN event in New Zealand. Philip – Lifestyle Guy is directed by Dave Hukom and produced by Yanna Acosta. It airs on TV 5 every Sunday from 11 a.m. to 12 nn. Set to provide more fun, information and entertainment to your TV viewing experience, get ready to travel Metro Manila and other parts of the country with style, as lifestyle guru Philip Abadicio shows you how to celebrate and live a good, happy and stylish lifestyle, whatever status, situations and circumstances you have right now. 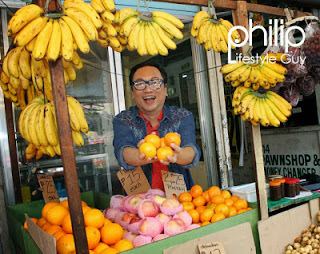 Follow Philip Lifestyle Guy on Facebook, @LifestylePhilip on Twitter and @PhilipAbadicio on Instagram to find out about the contest promotions, and other announcements.